By “Academy” I mean the wonderful, inspiring, creative, sweet-as-sugar sewing blog community! Before I explain why I’m giving an acceptance speech, I’ll give you a quick update on where I’ve been lately. I decided I would take on two projects at once, thinking it would keep me inspired on both of them and would increase my sewing productivity. I was wrong…very wrong. Instead, I am just un-motivated to work on either one. I am supposed to give Mom her birthday gift this weekend, and it is still in SEVERAL pieces, so it will take a miracle from the sewing gods to finish it in time. And I can’t finish my Elisalex until I finish Mom’s gift because…well…I can’t have a completed dress for myself which has no deadline and an incomplete gift for my Mom which absolutely DOES have a deadline. I’m sure I would inherit bad karma from that scenario. So I’m kind of at a stand-still on both projects right now. In the midst of my sewing hiatus, a super exciting thing happened. .. I was given a Liebster Award by the very talented Katy at Sleek Silhouette! 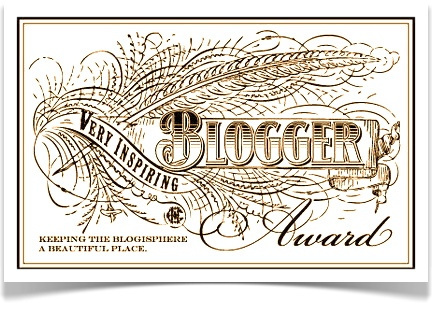 This is my first ever blogging award and I am absolutely THRILLED to have received it! I’m so honored that Katy reads (and enjoys!) my blog. Incidentally, this virtual award makes me happier than any award I’ve ever received in my life. I’m positively river-dance-happy right now. Katy’s blog has inspired me in so many ways. She’s incredibly talented and creative, and I hope to one day finish my garments as perfectly as she does. She makes the perfectionist in me stand at attention and salute! 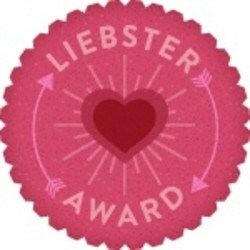 The Liebster Award is meant for new bloggers who have less than 200 followers – it helps get the word out about them. Katy’s post has some phenomenal blogs mentioned that I just discovered thanks to this award. Go check them out! They’re amazing! With the award, there are a few rules: 1. Answer the 10 questions that were asked by the person who nominated you. 2. Nominate 10 new bloggers that inspire YOU. 3. Ask those bloggers 10 questions. 1. How did you get into sewing in the first place? ~It actually started with a Halloween costume a few years ago. I wanted a Renaissance-ish skirt and decided to make it myself. My mom taught me the sewing basics as a child, and I was confident that I could learn the rest with the help of the internet. While I did complete the skirt, we didn’t get to celebrate Halloween that year so I never wore it! It’s since been gutted for parts… But that skirt ignited a passion in me for sewing. 2. What is your favourite part of sewing? ~My favorite part would have to be the initial planning stages. The creativity rush is so much fun! Planning something beautiful and knowing that you can make it happen – it’s awesome. 3. Have you tried designing your own clothes, is this something you’d like to try in the future? ~My first few garments were actually self-designed and self-draped/drafted (even though I didn’t realize it was called draping or drafting at the time.) They were so much fun to make! Unfortunately, they weren’t very well executed since I was so inexperienced, so I haven’t gotten much wear out of them. Now that I’m more skilled, I would like to go back to the raw creativity of creating my own designs. 4. What has been your favourite moment since starting your blog? ~Mine would also be a jacket! I actually bought a pattern, fabric, and supplies to make a jacket and then chickened out before I traced a single pattern piece. Tailoring just seems so meticulous and time-consuming, so I’m not sure I would enjoy it…but I still want to try! It’s actually on my list of forget-me-nots. 6. What make are you most proud of? 7. What make are you most embarrassed by? ~No question…my faux-leather skirt. What a disaster! How did I convince myself that upholstery vinyl would work as a pleated skirt?? 8. What is the nicest compliment you’ve received for something you’ve made? ~Whenever I hear “Where did you buy that? Wait, you MADE it?? I want one!” I just feel really great. The fact that something I made looks professional (on the outside at least…don’t peek inside. Finishings are my kryptonite!) is really encouraging. 9. Do you have any aspirations for taking your sewing further, such as starting up a pattern label, opening a shop? ~I don’t think I have enough creativity or patience to start a pattern label, and I’ve recently realized that I’m too selfish to spend time sewing just to sell my creations to other people, but I do have an idea for a sewing business. I’m too afraid to talk about it with the public just yet since the idea is still in its infancy (I’d hate to jinx it!) so I’ll just give a simple “yes, someday!” to this question. Muahaha! 10. Are you a perfectionist or a ‘get it done’ sewist? Now to pick 10 new bloggers to highlight! I used Bloglovin as my source for following numbers. I realize that some of the bloggers I’m about to name have already received a Liebster award, so there’s no pressure to follow all of the rules again. Just consider this a shout-out because you’re awesome and have inspired me in my own sewing journey. I’d also love to hear your answers to these questions if you have time! Mabel Makes – Stephanie is the epitome of elegance. She is super talented and has amazing style – I am so envious of her sewn wardrobe! AND she knits like a pro. AND she lives in Ireland!! Total girl crush going on here. 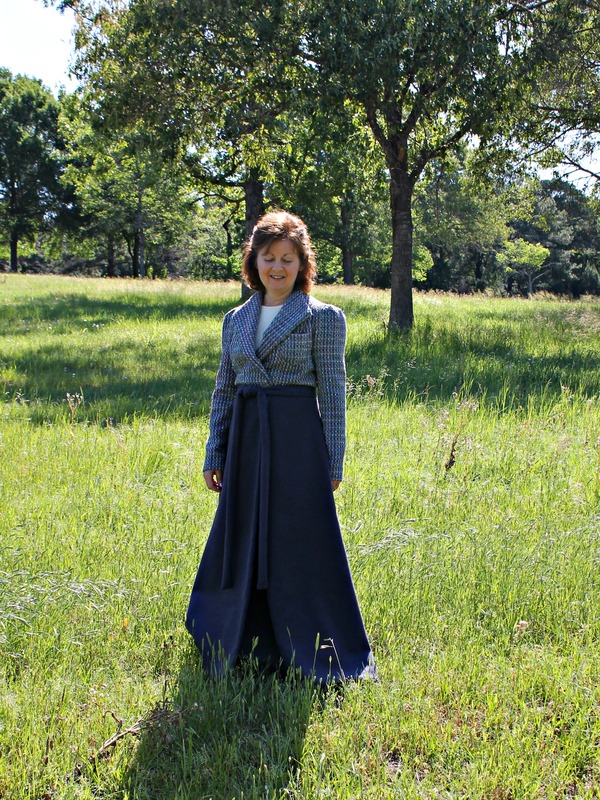 Custom Style – Brooke is another incredibly talented seamstress with years and years of experience. She could make anything…with her eyes closed…and probably with her hands tied behind her back. Yeah, she’s that good. Gjeometry – Catja is a new sewist, but she’s already created some really amazing garments! She’s crazy creative, has impeccable style, and is all around inspiring! And she has the smartest kitty in the world. Country Girl Couture – Country Girl Couture is a fun, sassy sewist with great taste and style. I love her “Things that Tick Me Off” posts…because honestly…we girls love to vent to each other right? Musings of a Seamstress – I introduced Sarah in my last post, but I also wanted to send her this award. She’s inspiring in so many ways! And she made her wedding dress. Anyone who does that is a rock star in my book. Wearing History – I’m fairly new to Lauren’s blog, but I’ve already gathered this: She’s CRAZY talented, has a huge love of vintage fashions, and I would gladly step into an alternate universe where I suddenly had access to her closet! Vintage or Bust – She’s a Nancy Drew fan and has a career in costume design….enough said right?! I’m always excited to see her latest creation. Threaded – As a member of the Mood Sewing Network, I’m fairly certain that Haylee has over 200 followers, but Bloglovin’ said 180, so I’m including her. Has this girl got style?! Holy smokes! Her “finished project” photos look like they belong in a fashion blogger’s post of favorite new designer clothes that they’re dying to buy. She’s absolutely phenomenal. The Little Tailoress – Ami’s blog is another one that’s new to me, but I am hooked. I don’t think I’ve ever seen someone who dresses better than Ami. I mean honestly…even celebrities on red-carpets who were dressed by over-paid stylists don’t come close to touching this girl. She’s flawless. Oh yeah, and she makes the most exquisitely tailored clothes I’ve ever seen. So…you could say I’m a fan. Ruffles Gazebo – This is another blog that I’ve recently discovered and immediately fell for. First of all, who couldn’t love the name of this blog? And Ruffles is one seriously talented gal. Go check out the wedding dress she made – breathtaking!!! Which new sewing skill are you most excited to learn or perfect? Is there a sewing skill that you’ve just never been able to get the hang of? Is there a type of garment that’s currently trending (either on the runways or in the blogging world) that you have zero interest in wearing or making? In three words only, how would you describe the style of garments that you’ve sewn? What was the first sewing project you ever created? Do you still have it? Is there a movie or TV show that you think has particularly inspiring costumes?